Although it caused huge excitement at its announcement by Google in 2011, web real-time communication (WebRTC) has somewhat faded from the general tech consciousness. Maybe it was oversold as a done deal back at the time, when it should have been presented as the start of a long and painful journey toward inter-browser real-time communications nirvana. Although the froth has disappeared off the top, the high-quality microbrew continues to ferment, and WebRTC maintains a steady upward trajectory in terms of development, progress toward standardization, and adoption, with the goal of making rich interpersonal communications easier and more prevalent than ever before. In this article, I'll explore some of the underpinnings of WebRTC, its popular use cases, and how to solve common user problems – many of which are the same as the common problems that arise in any form of real-time unified communications – so you can help your users reap the benefits that modern WebRTC-enabled browser apps have to offer. WebRTC-compliant browsers can access media devices directly on their host system and then exchange and render the resulting media tracks (audio, camera video, desktop content, and arbitrary data) directly with other WebRTC endpoints, which are normally browsers but can also be conferencing services, native apps, or gateways to other communications networks, such as a public switched telephone network (PSTN). WebRTC places much emphasis on peer-to-peer communication, wherein a browser exchanges media directly with one or many other browsers. However, an equally common scenario, especially in enterprise-grade WebRTC apps, is a client-server relationship, in which all media is routed through a central hub. Although the client-server approach comes at the expense of optimal routing of media over the network (typically the Internet), it allows the application to provide many other benefits that enterprise applications require, including many more participants in a web conference, recording, interoperability with other services, and much tighter control over network address translation (NAT) traversal by implementing traversal using relay NAT (TURN) server functionality. Figure 1 shows a typical example of such a conference, combining WebRTC participants, hard video conference systems, and telephone callers. 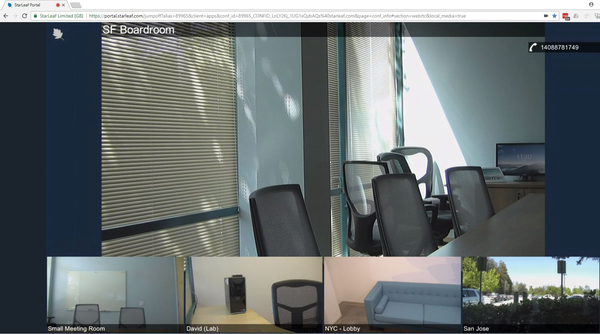 Figure 1: Multipoint WebRTC video conference. WebRTC is made up of separate IETF and W3C standards, currently in Candidate Recommendation status, with each covering a different aspect of setting up a peer-to-peer connection. The essential parts include the following. Real-time communication in web browsers (RTCWEB) is not an API, but the protocol that two WebRTC endpoints use to set up a call with each other – when instructed to do so by the WebRTC API. It covers signaling, NAT traversal, media capability negotiation, bandwidth and rate control, and security . WebRTC does not specify a high-level call control protocol, nor the type of network transport it should use – that part is left up to the application. An implementer of a WebRTC app that wants to interoperate with other WebRTC apps might base their signaling on an existing standard like the Session Initiation Protocol (SIP) or XMPP/Jingle (and, in fact, the SDP information that RTCWEB generates is designed to be interoperable directly with "normal" SIP calls). More commonly, given that interoperation between different WebRTC solutions is rare, WebRTC apps will simply implement their own signaling methods. Figure 2 shows how the getUserMedia application, WebRTC, and RTCWEB interoperate within and between browser peers. Figure 2: WebRTC and RTCWEB in the browser. WebRTC is the only (currently) viable inter-browser real-time communication solution; it is easy to use in development and offers free access to secure, high-quality media codecs. One consequence of the relative ease of implementing a WebRTC solution is the appearance of many more applications that are "unified communications (UC) enabled"; that is, their fundamental purpose is not general communications, but to provide a specialized app for some other purpose, such as telemedicine. As these apps increase in number and quality, it's highly likely that usage will increase toward Skype-like levels. IT departments will have to adapt to meet user demand, rather than try to manage the scale of usage. 1. Device availability – enumeration and permission for cameras, microphones, and speakers. 2. Browser capabilities – support for the WebRTC APIs and RTCWEB, with or without plugins. 3. Signaling channel – connection to the signaling server for application call control and SDP/ICE exchange. 4. Discovery – NAT traversal possibilities: direct, session traversal utilities for NAT (STUN), and TURN. 5. Network bandwidth – media flowing from endpoint to endpoint; bandwidth availability and rate control. Many of the troubleshooting considerations are generic to any application that requires users to communicate using their PCs.